Braid is so exemplary of the once exclusive qualities of other artistic expressions that it must be regarded as a work of art. Above: Tim regards his world/self in Braid. Let me get this article’s modus operandi out of the way, first and foremost: video games are, in essence, an experience of media that can carry with it the same connotations as any other creative output. 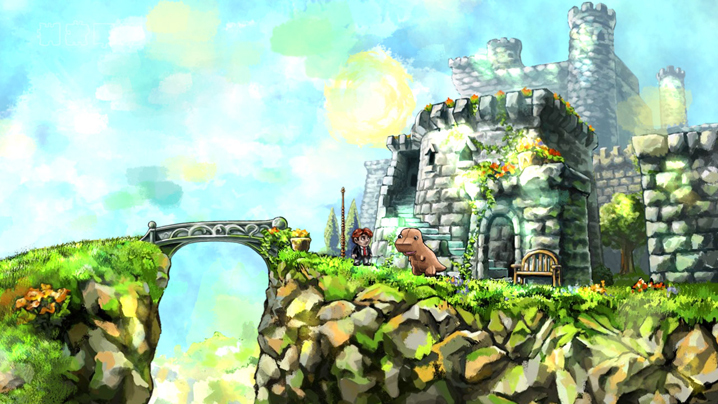 That being said, Braid (2008)—a game meticulously crafted by designer Jonathan Blow and artist David Hellman, working under Blow's Number None independent studio—is unique in that, through its specific gameplay mechanics (the actions that the player must make in order to advance through the game's objectives), it invites the same kind of emotional interpretations that one can make while, say, reading a particular passage in a book or watching a scene in a film. These moments, when we allow them, can be quite immediate, raw, and lasting. Blow and Hellman’s Braid, to me, is so exemplary of the once exclusive qualities of other artistic expressions that it must be regarded as such. It is a video game that, through the interactions between the player’s choices and the effects on the game world that they produce, allows itself to become a vertically integrated medium, creating precise and instantaneous moments of both cause and effect—action and meaning—rather than a preordained combination of sounds and images that a player manipulates only to analyze after the fact, and in distant, abstract terms to boot. Nowhere but in a game can one enact upon the story and get an instant, valid and, most importantly, designed response—and in the best games, that response can truly mean something. What, then, does Braid mean? The story centers around Tim (whom the player controls), a young man who, at the beginning of the game, arrives at a multi-room house featuring blank picture frames that must be filled with puzzle pieces that the player collects. The pictures, when put together, serve as loose vessels of plot that document Tim’s struggle to find and rescue his “Princess,” who takes on various mythical and physical forms throughout the game: she could be Tim’s wife, daughter, inner-child, and even conceptual ideals as broad as “advances in modern science and technology.” The title itself is multifaceted: it is the lasting vision of Tim as he watches his Princess elude his grasp (her twisting locks of hair as she turns away from him a lasting image in his mind); it is also a specific memory Tim experiences as a child and is recalled in one of the many “storybooks” that litter his personal cloudscape; and it is a reference to the game's own progression, as Tim begins at World 2 and eventually loops back around to World 1, in which the final (first) level reveals itself as a kind of twisting parabola wherein Tim—and the player—discover who the "Final Boss" really is. The game takes a somewhat standard thematic convention—introspection and inner conflict—and, through it’s own gameplay, realizes it in multiple, intersecting ways. An example: in the chapter "Time and Place," Tim reflects on a recent trip to his parents' house. Wandering through the same hallways and rooms he's been familiar with for most of his life, he's reminded of both the security and comfort of his childhood home, as well as the limitations and frustrations that he felt while reaching adulthood. As most of us do. What I just described, however, is simply that: a description. It is a text that the player reads via the storybooks laying on pedestals that Tim must pass in order to reach the door leading to the first level of actual gameplay. Upon reaching the first level in this chapter, everything is still and static. No animation or movement of any kind, simply a tableau of the objective, conflict, and reward: a pit containing a key, a stout hedgehogian creature guarding it, and a locked door on the other side, barring the way to the end of the level. The flow of this level moves from left to right—pit, key, guard, door, goal—as most platform games do. The obvious task of the player, therefore, is to move Tim forward (right) so he can somehow get to the key and pass through the locked gate. 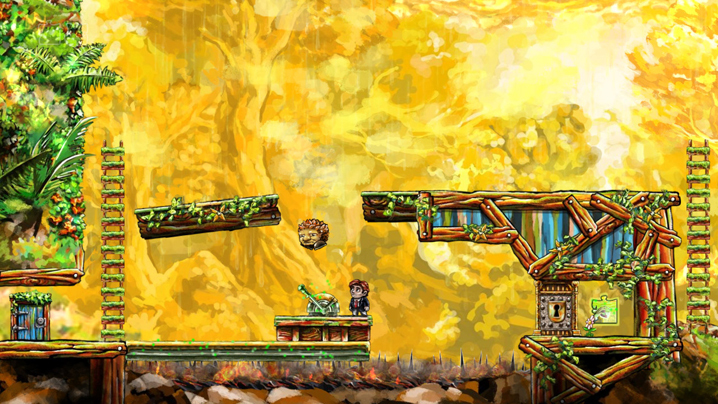 But this is when Braid fuses the connection between gameplay and environment in a way that platformers rarely do. Once Tim starts moving from left to right, the guard shifts into motion, a wispy lullaby begins to play, and shimmering particle animations that highlight Braid's colorful worlds begin to unfold. In other words, the level's temporal progression is symbiotically linked to Tim's spatial progression. If Tim moves forward (right), time in the level moves forward; if he moves backwards (left), time flows backwards. If he stops, time freezes. This seems like a simple enough principle, but the result can be incredibly challenging to the player in later applications, with multi-stage puzzles that are anything but straight forward. Time is, on the whole, an abstract manifestation of existence—a way to compartmentalize our universe into discernable and, hopefully, manageable units. Braid’s ability to link them with another somewhat elastic and interpretative concept—space—allows the player, through Tim, to fuse together two very different yet equally dependent aspects of memory. By having to move backward through both space and time in order to obtain a key, the player can not only see what needs to be done, but also what the player has already done, as enemies that have been trounced will warble back into the level from off-screen and continue from the exact place where they were originally defeated. In the same way that film's dependence on physical and concrete temporality was punctured when VCRs and DVDs allowed for easy audience manipulation of time's movement, Braid actually requires you to disrupt what would otherwise be a conventional game flow, either to rewind a mistake you may have made or to stop time for everyone and everything in the world except Tim himself. A film's once concrete manner of audience reception has been grudgingly made permeable, but here is another visual art that accounts for it, that tries to coax deconstruction out of you, that is actually designed around the idea of your inevitable motherfuckery with its conventions. Above: A typical temporal dilemma. Each chapter in the game features a different time-based mechanic—"Hesitance," for example, a later world, interprets the narrative idea of a failed marriage as a gameplay concept involving a physical ring that the player can drop within a level, creating a kind of self-contained bubble of slow motion surrounding it. This ring will slow Tim and other objects and creatures down the closer they get to it, which seems like a handicap, but in actuality some areas insist on Tim using those few extra moments in order to time a jump correctly or retard a hail of cannon fire. 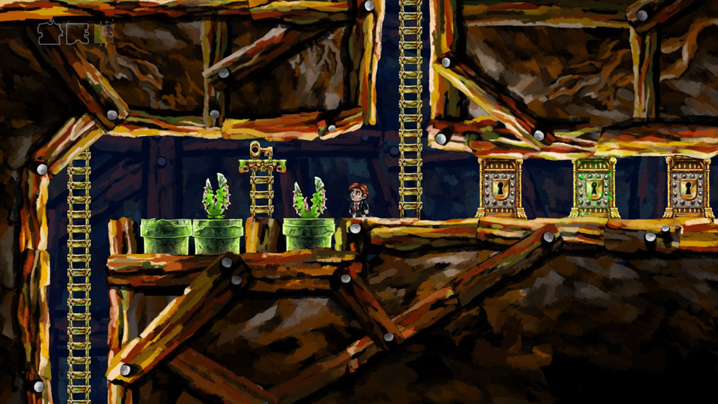 A seemingly benign and materialistic mechanic on the surface, to be sure, but what really elevates the game is not the space/time structure of the puzzles, but rather the simultaneous demand on the player to consider the implications of both as he or she plays it, for the solutions to the worlds in Braid cannot be fully anticipated by any stretch of the imagination—the challenges are simply too clever and organic for that to be possible. Rather, your interactions and achievements allow for the full potential of the game to be made clear to you. As a result, the methods of solving Braid’s levels seem to bubble up into your conscious as the action unfolds around you. This is a game that cannot merely be watched (and indeed, spectators may find it nearly impossible to “keep up” with the duet occurring between player and environment); it requires direct human agency in order to fully realize both the functions of the gameplay, and, perhaps more importantly, their emotional and thematic implications—in other words, to understand Braid’s artistry. Now, this is not to say that expressions such as these only happen with interactive mediums; many forms of art can grab us when we least suspect them, creating spontaneous revelations without ever alluding to their potential beforehand. But most of these moments occur when we, the audience, is at our most passive and vulnerable; we literally never see them coming until they arrive, lying against our corneas and rattling our eardrums. Perhaps it's the addition of our pure involvement in video games that make the many small epiphanies that can occur in them so tangible and real. Tim's leap for his misplaced wedding ring exists, before anything else, as my thumb pressing against the appropriate button on the controller. Sure, one could argue that the "story" of Braid is banal, but without us to guide Tim on his path of inner reflection, to make the appropriate emotional links, and to complete the chain, there would be no story at all, only waning bursts of exposition at the beginning of each area. Without you, it is nothing. With you, it is everything. Above: A Castle without a Princess. But that can be indicative with a game like Braid, one that can only achieve its potential greatness through the causal link that the player provides with their involvement, the missing piece to Jonathan Blow's mosaic of discovery and anguish. While one technically could breeze through the game, skipping past the pedestal text and concentrating only on the goal of collecting puzzle artifacts (and indeed, there is a "speed run" mode built into the game that seems to encourage or at least acknowledge this), those who take the time to revel in Blow's cryptic storybook prose and then search for the meanings of that text while traversing Hellman's surreal pulsating landscapes are aligning themselves with this medium's ultimate goal: they're inducing their own pure and visceral reception. Braid—an intensely complex and inventive game, made all the more unusual due to its independent production and outspoken media coverage—seems like a semantic sinkhole at times, willingly trapping game journalists and critics who struggle to reach for analytical vines they can use to pull themselves out and describe their experience. I prefer, however, to lay as flat as possible over its interpretations—Braid, with its constant duality of gameplay and artistic expression, means, essentially, Everything and Nothing. Only through its interactive experience can one hope to form their own narrative. In this respect, it may very well be a perfect video game. Kurt Shulenberger is a filmmaker and the author of Bliterations. This looks really genius! Too bad I don’t have anything to play it with. 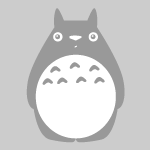 Here’s hoping for a mac version….